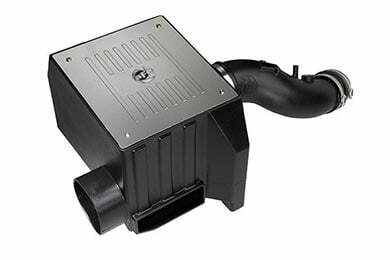 aFe vs. Banks: What's the Best Air Intake System for Your Truck or Car? aFe vs. Banks: What's the Best Air Intake? Discover who makes the best air intake: aFe or Banks. When it comes to high-performance air intake systems, air filters and exhaust systems, two names stand out from the rest - aFe and Banks. So, when it comes time to choose your next air intake, how do you choose between these two reputable brands? Here’s the lowdown on everything you need to know when comparing aFe and Banks. In the aftermarket performance industry since 1999, aFe—Advanced Flow Engineering—knows a thing or two about what goes into a top-quality air intake system. aFe features a huge selection of cold air intakes and air filters, all designed to deliver maximum power and efficiency gains to your ride. All intakes are custom-designed to fit your exact year, make and model, guaranteeing quick and easy installation. Plus, you score additional savings in the long run because the aFe air filter is washable and reusable, designed to last the life of your vehicle. Gale Banks Engineering has been jamming power-producing air into combustion chambers for more than 50 years. When you want your rig to breathe deep, Banks Engineering provides the perfect solution — high-quality air intake systems. 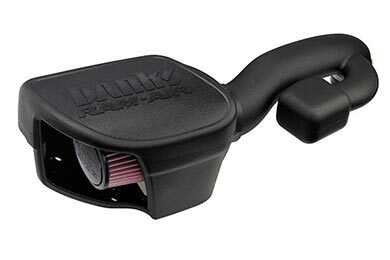 From the Banks High Ram Intake to the Banks Super Scoop Ram Air Kit, Banks has the parts that deliver more power, torque and MPG to your tough vehicle. No other company comes close to matching the research and premium materials that go into every part that Banks produces. Banks uses cutting-edge equipment, along with methodical laboratory practices, to create performance parts with real power. What’s the Best Air Intake for You - Banks or aFe? Before you choose between Banks or aFe, you need to decide exactly what you want out of your new intake system. For huge power gains with a variety of filter and performance options, shop with aFe. However, if you’re looking to set your rig up with more pulling power and better efficiency, choose the Banks Ram-Air Intake. For even more information about the different intake options offered at AutoAnything, check out our numerous Banks intake reviews. Whether you choose Banks or aFe, rest assured that you’re receiving a high-quality performance part. Plus, AutoAnything offers Free Shipping and 1-Year, Lower Price Guarantee on each Banks purchase. Reference # 764-433-469 © 2000-2019 AutoAnything, Inc.